Traditional format preserve with 15% of excellent quality real Russian King Crab legs. 185g. 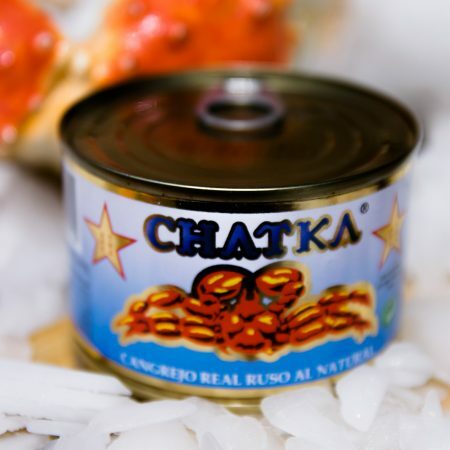 Chatka, Russian king crab preserved, is known worldwide as one of the gourmet products par excellence. Chatka is the mark of Russian king crab caught in the cold waters of the seas of Okhhotsk, Bering and Barents. It produces handmade from the legs and flesh of this exclusive seafood. 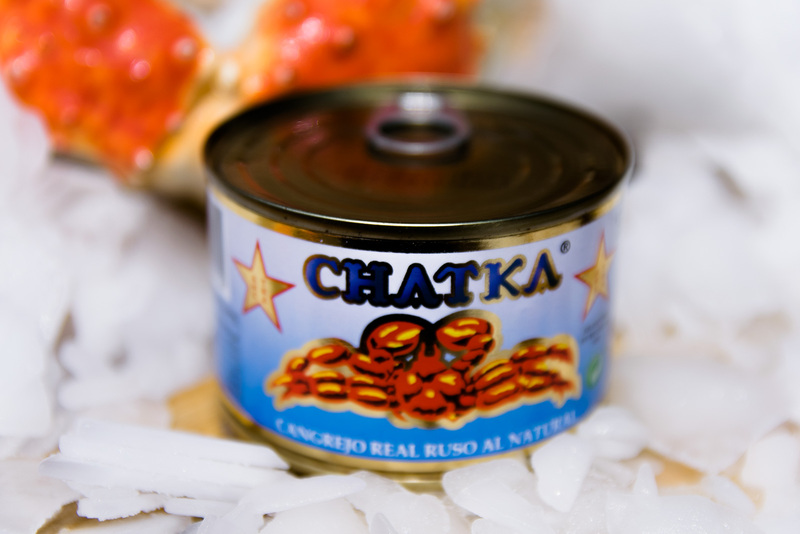 Chatka is considered one of the best brands of seafood in the world, with an excellent texture and flavor. From CHATKA we work tirelessly to offer a quality product directly from the sea to your table. Thanks to our rigorous quality control and craftsmanship we commit to satisfy the expectations of our customers with each order. For peace of mind all our products have the guarantee offered by the brand in our country. If this or any product purchased on our website does not satisfy you fully we will be happy to assist you to give you a better solution. 2016 Chatka.com. All Rights Reserved.